These last couple of year I have found myself chugging up and down the Grand Union between Tring and Braunston and taking a closer look at the layout of the canal. 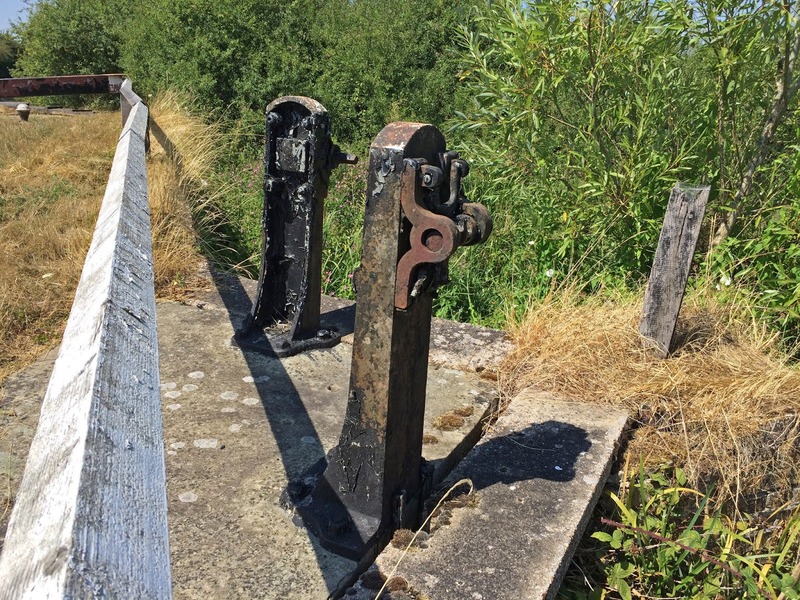 In particular I have been having a look at the abandoned narrow gauge locks which accompany so many of the broad ones which are still in use. 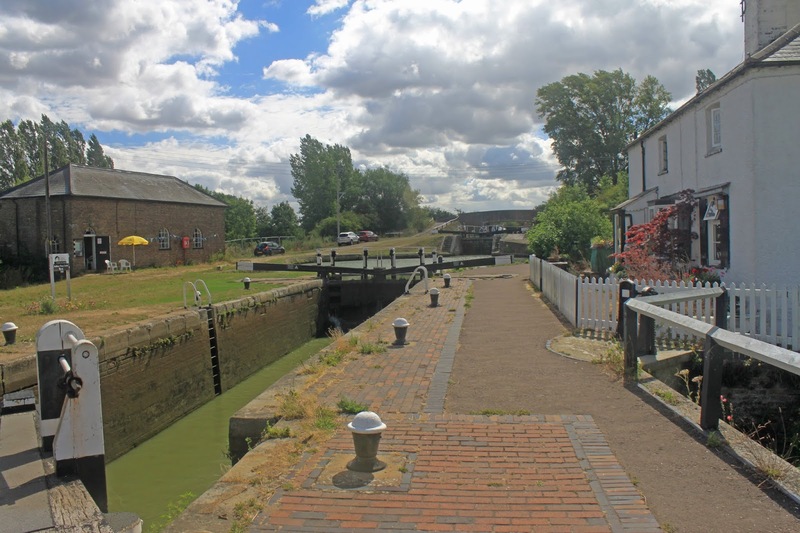 Given my north Grand Union base my initial take was that the Grand Junction Canal was built narrow and then widened to cater for increased trade, as evidenced by the 1930's widening from Wigrams Turn at Napton through to Camp Hill in Birmingham. But a closer look at the dates on the lock furniture castings made me realise that the sequence of events was rather different. The Grand Junction was indeed built to wide dimensions, capable of carrying barges of 14ft x 71ft (thereabouts) but the wide beam traffic tended to be between London and Berkhampstead. Thereafter most trade comprised narrow boats, often single when horse drawn and later as motor and butty pairs when the use of diesel engines became common in the early 20th century. 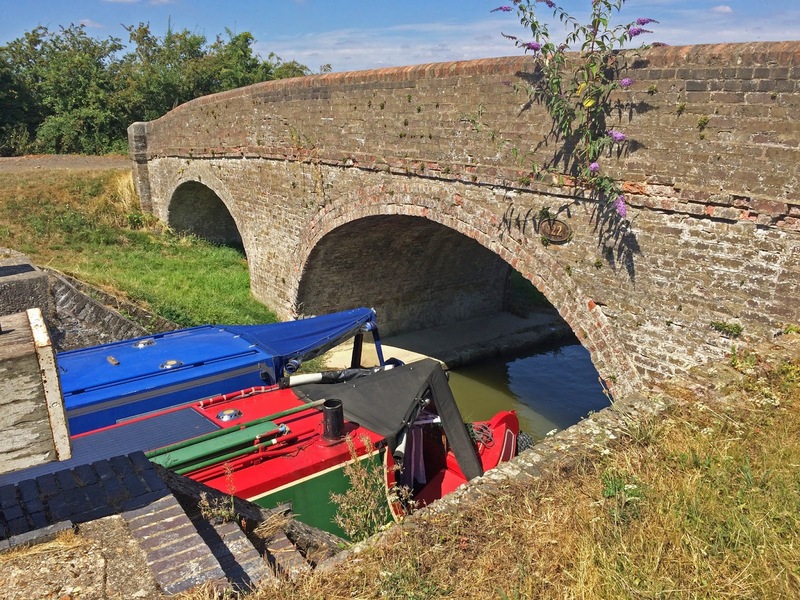 This dry summer has highlighted the Achilles heel of the direct route to London - the twin summits at Tring and Braunston. Both summits need copious water supplies and these are hard to find, particularly at the southern one. Almost as soon as the canal was built a series of pumping stations were built to recirculate water back up the locks, which in most cases still stand a silent reminders of busier times. They may no longer contain steam engines but if you pass on a summers day you will probably hear a steady hum as electric pumps continue the endless cycle of water movement. 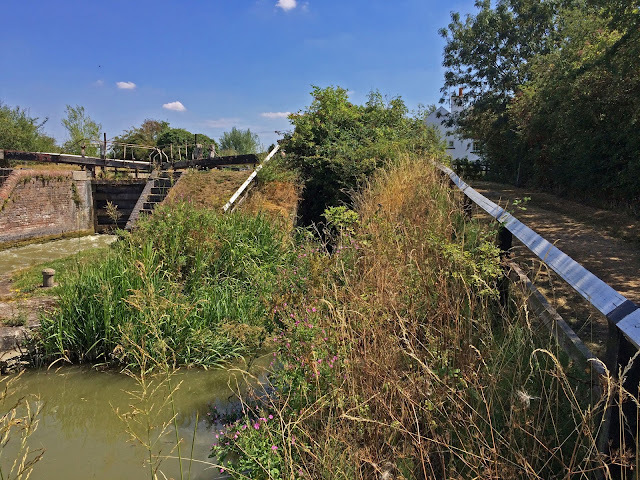 Pumps are all very well but they were only part of the solution as a body of reserve water was always needed to cover leakage and evaporation and the result were the ranked reservoirs of Marsworth and feeder channels such as the Wendover Arm, gathering water from miles around. The one problem these schemes didn't address was the volume of single narow boats using the canal. Each boat used a lock full of water, which was over 50,000 gallons so each boat moving along the canal would take 100,000 gallons from both summit pounds, the same as a pair. With water in short supply the option was either to make narrow boats wait for another one and travel together (which could create long delays) or to develop systems which limit water use. At Soulbury, as elsewhere on this canal, the problem was addressed in a couple of ways. 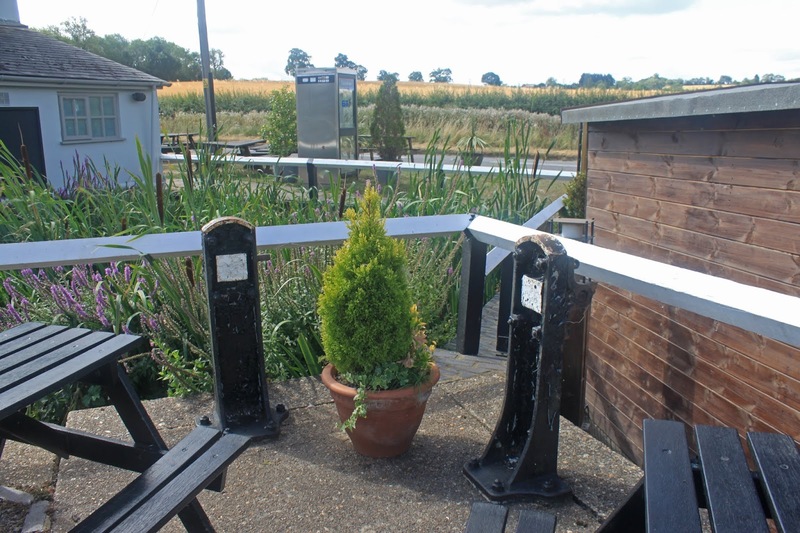 Firstly side pounds were created beside the main lock chamber to that a descending boat would open a side paddle and drain water into it, saving it for later used by later boat coming up. In the case of the CGC there were two side pounds and two paddles so my assumption is that effectively 2/3 of the water was stored at intervening levels and the passage of a boat released only 1/3 of a lock of water (leakage ignored). Can someone with greater knowledge correct me if I am wrong here please? These side pounds must have remained in use till after 1860's this being the date embossed on the paddle gear castings. 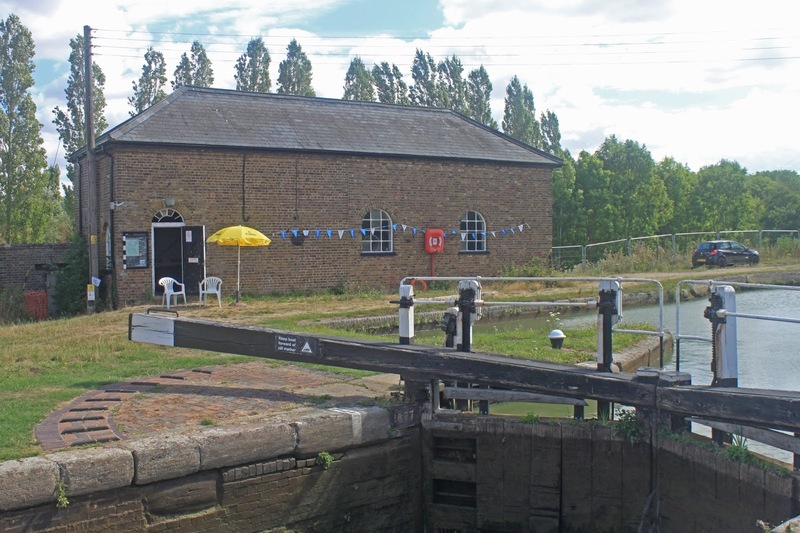 That said, many of the top side pound chambers were later built over for lock keepers cottages, with the chamber used as a (damp) basement. 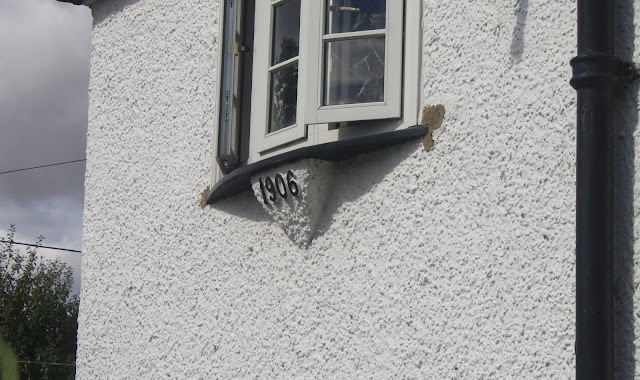 At Soulbury the cottage is dated 1906. So somewhere in the intervening 40 years the side pounds were abandoned, probably as trade volumes transferred to the railways. Date of cottage construction - shape matching the pound. In the 1830's the new railways were making inroads into the canal carrying trade and to compete the tolls were reduced. This resulted in a considerable increase in tonnages carries (but a downturn in revenues). This put added pressure on the canal infrastructure and in turn on the limited water supplies. The solution was to build duplicated narrow gauge locks alongside the older wide ones which both increased capacity and used less water when a single boat was passing through. The remains of these single locks can still be found in many locations, including the double arched bridges which stand at the foot of many locks. I have yet to identify when the narrow locks were filled in. Double bridges to cross wide and narrow locks. 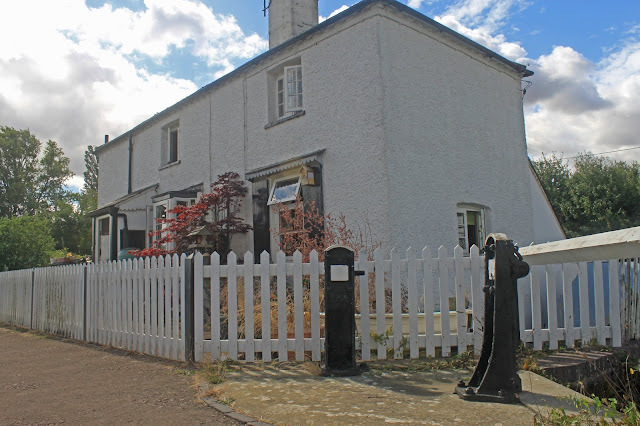 So, all is not as ot seems at Soulbury or elsewhere in the area, where the line of the single locks can still be traced and the remnants of the side pounds can spotted either as basements of lock side cottages, ornamental ponds or covered in decking and used as a pub beer garden.